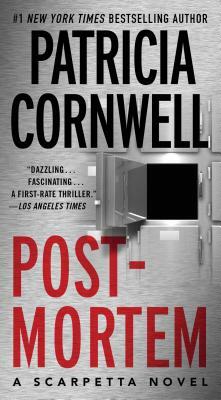 Discover the “dazzling…fascinating” (Los Angeles Times) novel that launched the New York Times bestselling Kay Scarpetta series from #1 bestselling crime writer Patricia Cornwell. Under cover of night in Richmond, Virginia, a monster strikes, leaving a gruesome trail of stranglings that has paralyzed the city. Medical examiner Kay Scarpetta suspects the worst: a deliberate campaign by a brilliant serial killer whose signature offers precious few clues. With an unerring eye, she calls on the latest advances in forensic research to unmask the madman. But this investigation will test Kay like no other, because it’s being sabotaged from within—and someone wants her dead. Los Angeles Times Dazzling...fascinating...a first-rate thriller. The New York Times Book Review Reads like gangbusters! San Diego Union-Tribune Terrifying...clean, crisp and compelling...highly satisfying.